Ice cream cakes used to only be for the summer — but that’s not true anymore! 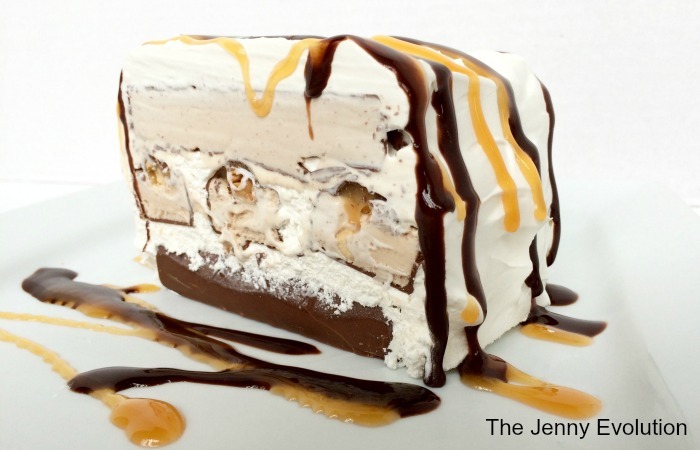 Admit it — you wanted an ice cream cake for your birthday, right? Even so, what better way to ring in summer than with a ridiculously easy homemade ice cream cake. And even better — it’s a SNICKERS cake! If you’re like me, just thinking about delving into a SNICKERS Ice Cream Bar can make your mouth water. But how about turning them into an ice cream cake. 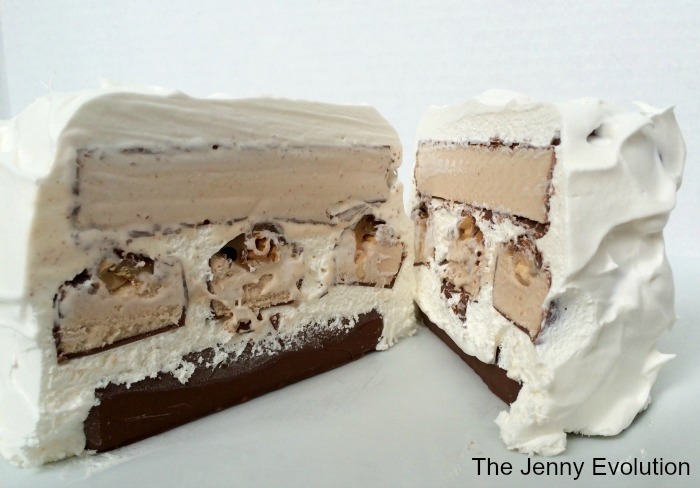 Oh yeah… we’re making an Ice Cream Snickers Cake today. 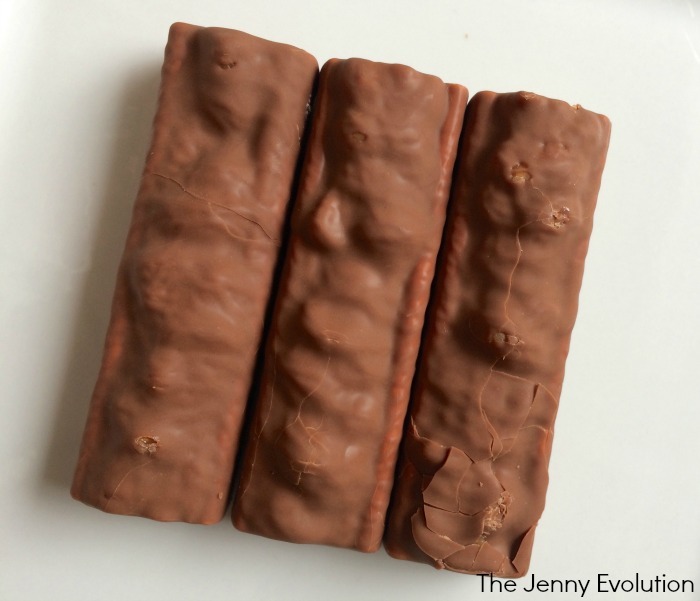 First, place 3 SNICKERS Ice Cream Bars side by side, leaving a small amount of room between each bar. Fill gaps with whipped cream and add a layer of whipped cream on top. Then place 3 more SNICKERS Ice Cream Bars crosswise on top. Repeat filling in the gaps with whipped cream to hold the bars in place and add a layer of whipped cream on top. Place 3 more ice cream bars on top. Again, crosswise. Then cover the entire tower of SNICKERS Ice Cream Bars with whipped cream. Set in freezer for about an hour. Just before serving, sprinkle chocolate and caramel syrup on top. Feel free to add any other toppings you’d like to add, such as M&Ms, sprinkles and what not. 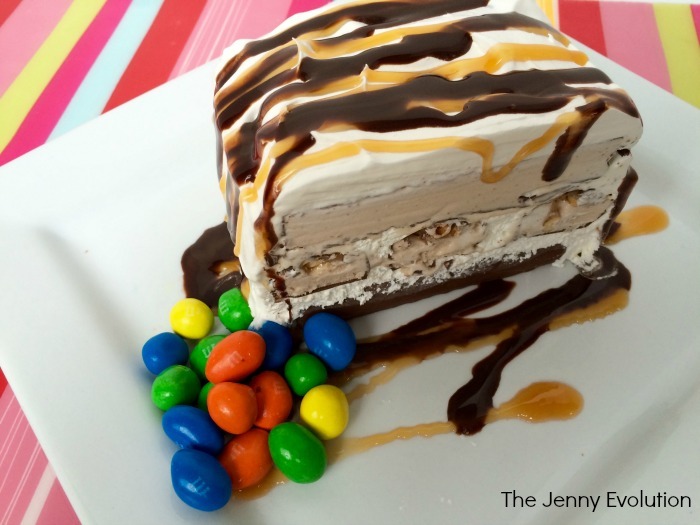 What better way to ring in summer than with a ridiculously easy homemade ice cream cake. And even better -- it's an Ice Cream Snickers cake! 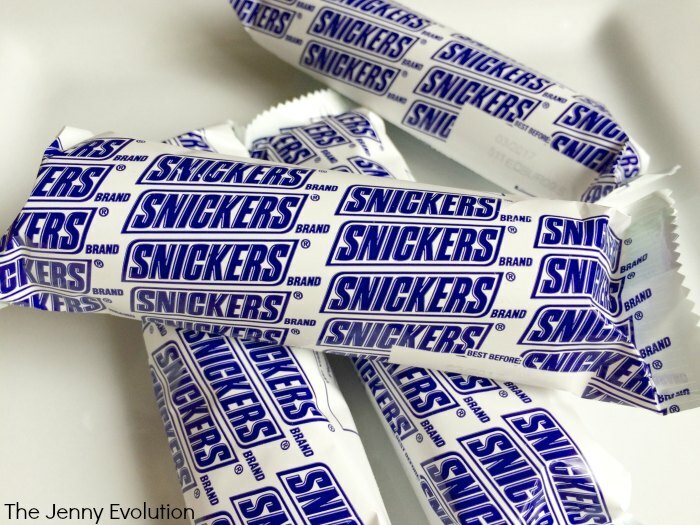 Place 3 SNICKERS Ice Cream Bars side by side, leaving a small amount of room between each bar. Fill gaps with whipped cream and add a layer of whipped cream on top. Place 3 more Ice Cream Bars crosswise on top. Repeat filling in the gaps with whipped cream to hold the bars in place and add a layer of whipped cream on top. Place 3 more ice cream bars on top. Again, crosswise. 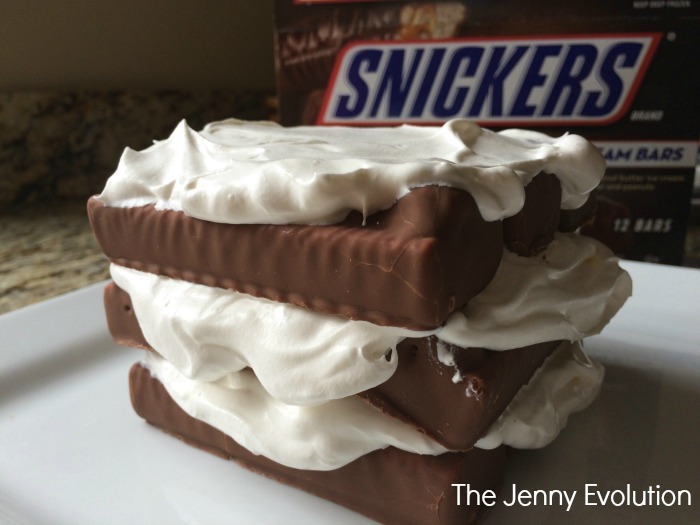 Cover the entire tower of SNICKERS Ice Cream Bars with whipped cream. Set in freezer for about an hour. Just before serving, sprinkle chocolate and caramel syrup on top. Feel free to add any other toppings you'd like to add, such as M&Ms, sprinkles and what not. Can I just say, this looks ridiculously good and easy to make! I love Snickers! I think ice cream cakes definitely make summer fun! I am thinking of making this but instead of using whipped topping between the layers….think I am going to use chocolate or vanilla ice cream (softened enough to spread off course) and use the whipped topping on the outside. Let me know what you think when you make it! 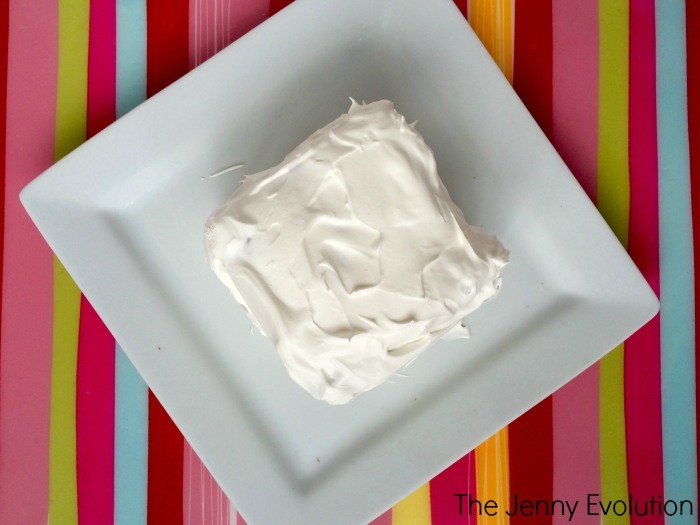 I often make my own whipped cream from scratch.. it’s so easy! Awesome! Thanks for the feature…. so excited you like it 🙂 Happy eating! Thanks for linking up with us at Thursday Favorite Things! Awesome! Thank you 🙂 I had fun creating this cake! OMG those Snickers ice cream bars looks awesome! 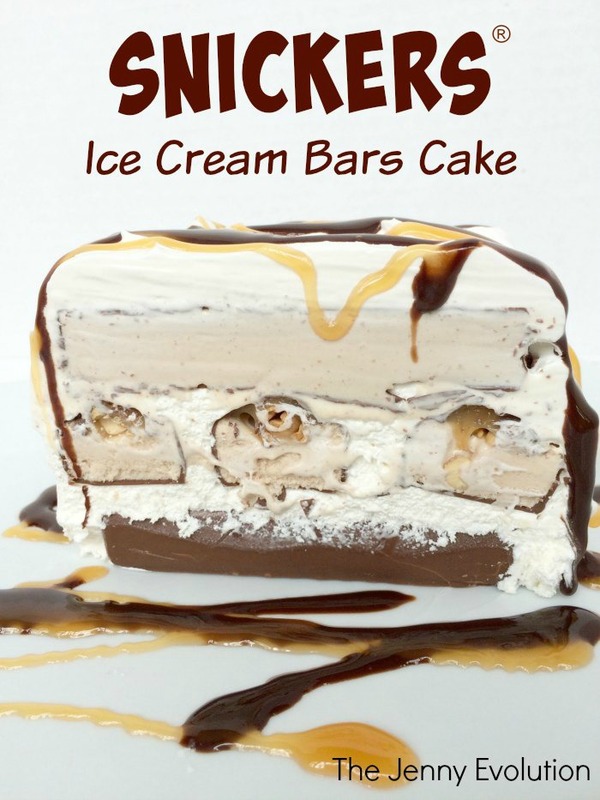 Great idea using them to make an ice cream cake! I am featuring you over at Simple Supper Tuesday. We would love for you to join us again, starting Monday night at 8pm EST. Totally brilliant! Thanks for linking up with What’s Cookin’ Wednesday! What a simply and brilliant idea!!! This looks really incredible!!! Thanks for linking this up with us at #foodiefriDIY! I chose you as one of my faves!! What a sweet memory! I’m sure he would have loved this concoction. And you would have impressed him — this ice cream cake is ridiculously simple — you definitely can make it! Maybe put one together and have an evening of sharing fun stories about your stepdad. My family does that sometimes — tells our favorite stories of family members who have passed, celebrate their lives and think of how lucky we were to have them in our lives as well.